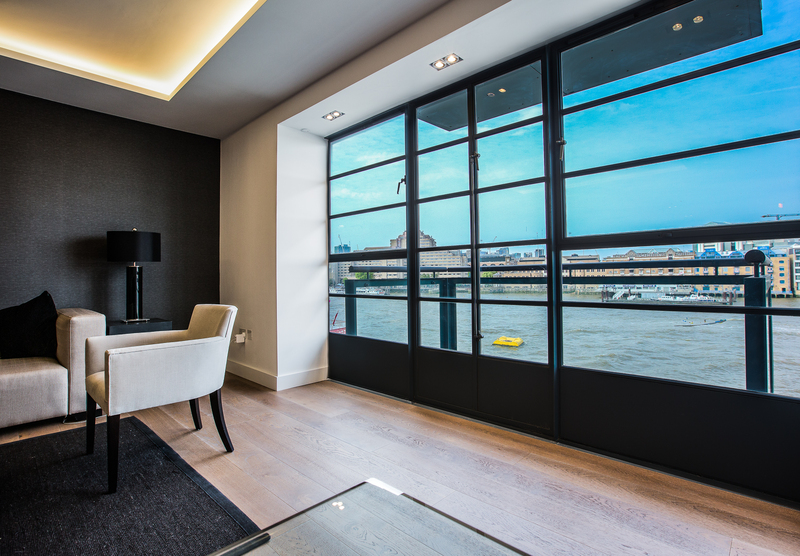 Spice Quay is a landmark river-fronted development, offering luxury living in a prestigious London postcode. 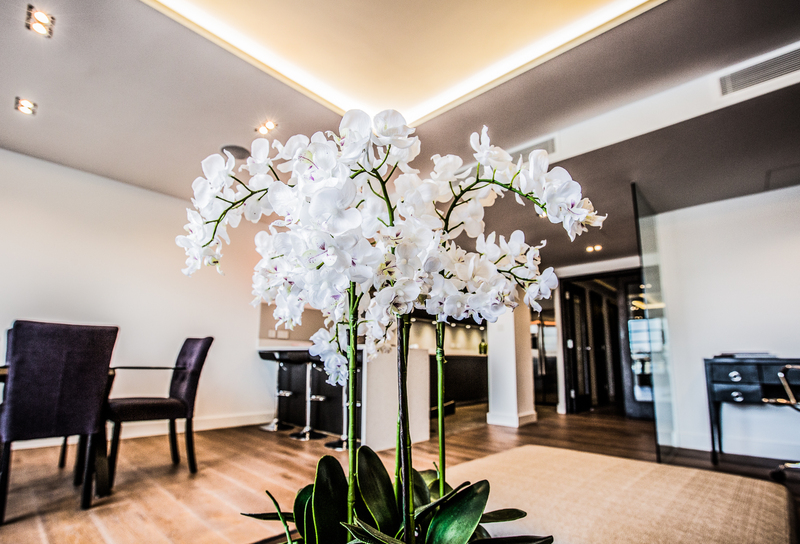 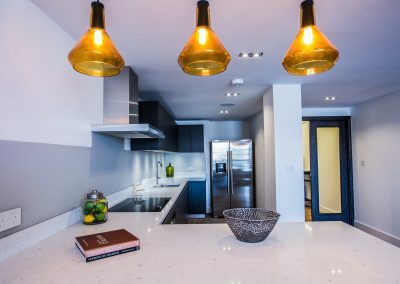 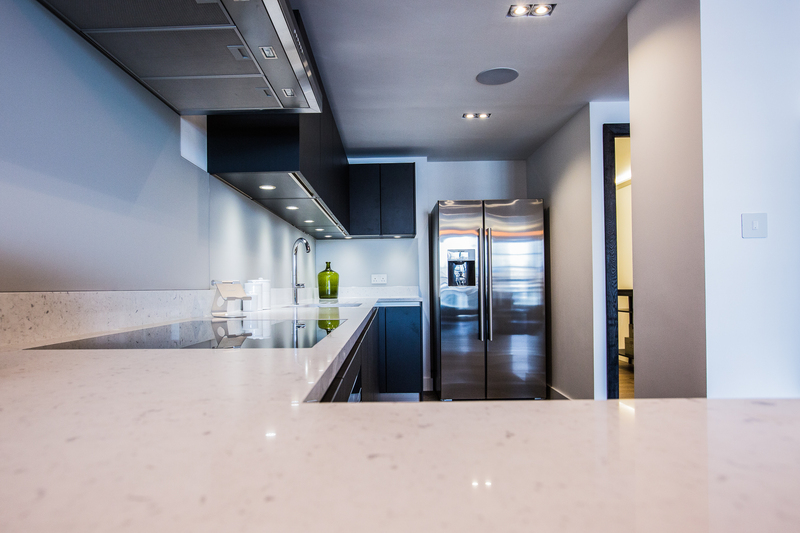 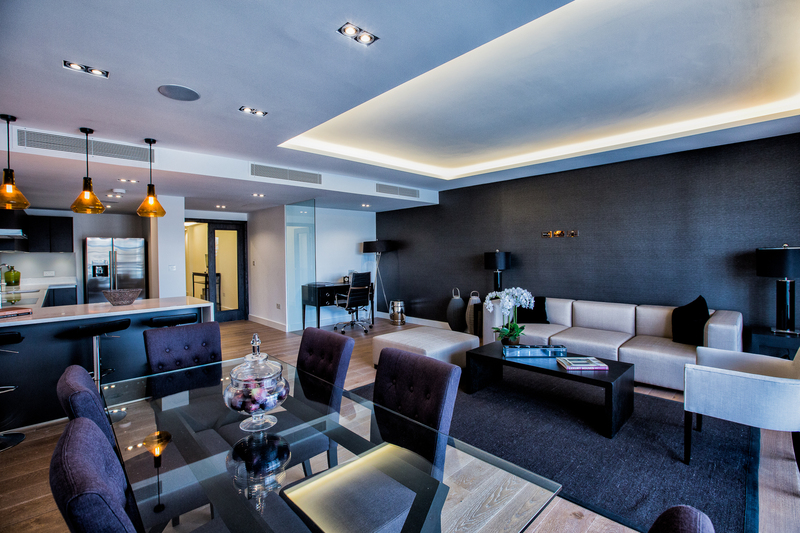 The previous penthouse flat in the building has been converted into two high-end apartments. 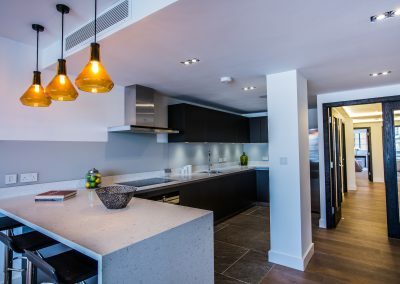 The owner, having already installed Loxone in his own home, realised the value of integrating home automation into his development properties, and turned to Loxone Gold Partner, JSJ Smart Homes to take care of the transformation. Spice Quay is perfectly positioned for those living and working in the capital. 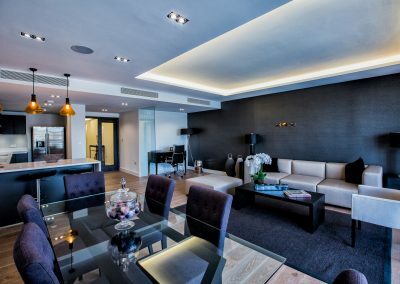 The apartments have a unique charm and boast the imposing Tower Bridge as their backdrop. Both of the apartments enjoy a private balcony with outstanding river views; residents can enjoy a spot of al-fresco dining to the soundtrack of the Thames below. 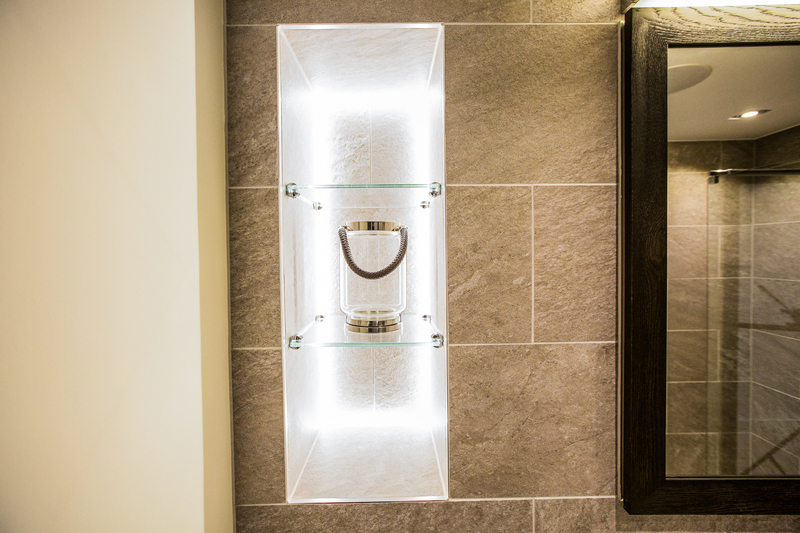 Motion Detectors in all bathrooms, en-suites, toilets & hallways serve multiple functions. 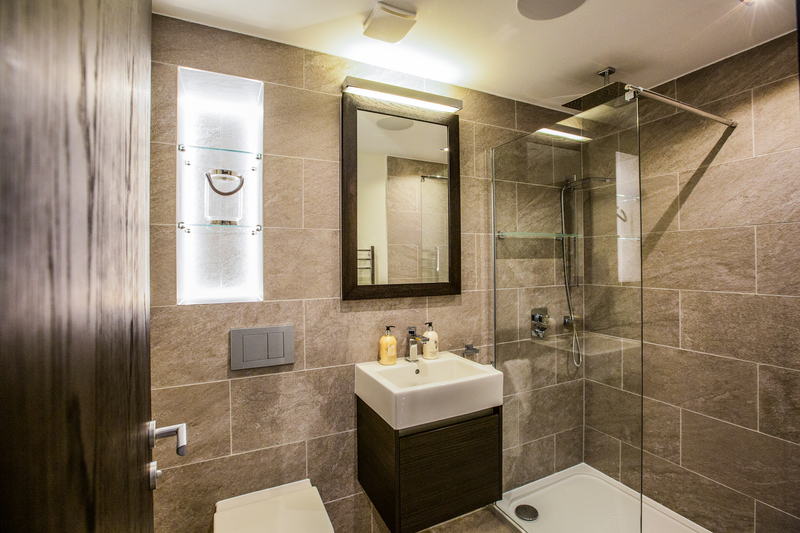 When a resident walks into the bathroom, the motion sensor triggers the lighting to come on at a brightness level that suits the time of day. 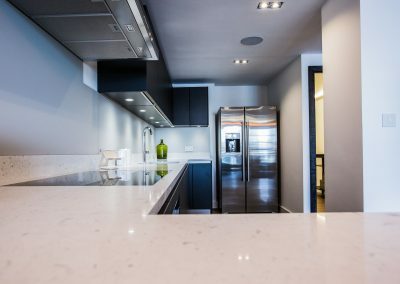 In addition, the ventilation fan is activated after five minutes to clear the steam from the shower and runs until humidity levels have returned to their usual levels. 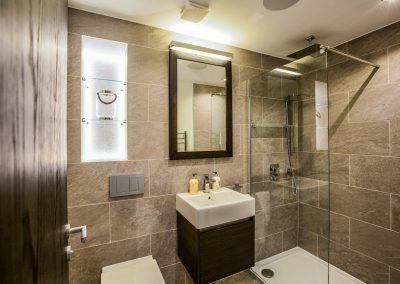 Residents can choose to have their favourite music play upon entering the bathroom, and zoning in the en-suite bedrooms ensures that their music is seamless between the bedroom and bathroom. 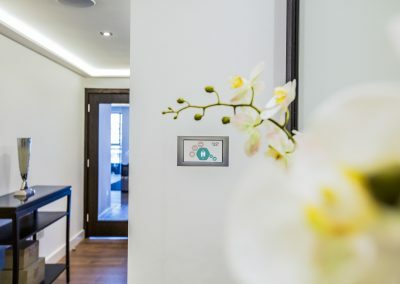 The motion sensors also form part of the smart alarm system and keep watch over the apartment when all the residents are asleep, or when they’ve gone out. 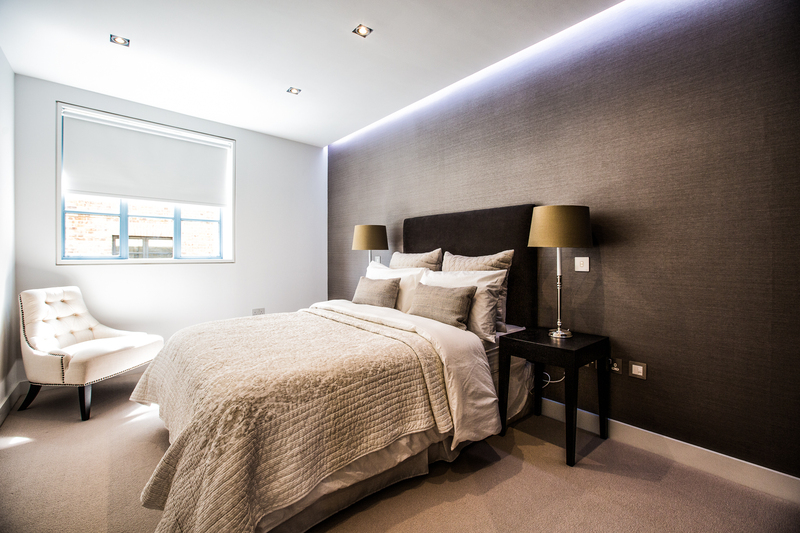 The lighting throughout the apartments, including the recessed LED lighting in the living area is controlled by Loxone. 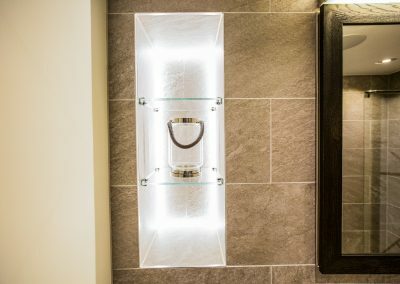 This ensures that the lighting stays as efficient as possible – lights are only brought at certain times of day or when the brightness level falls below a specified threshold. 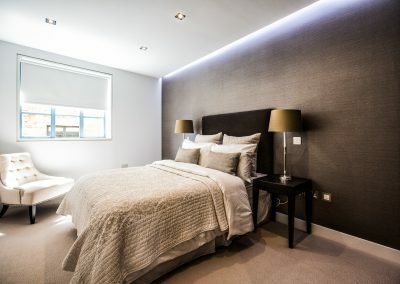 Zoned heating contributes to the energy efficiency of the apartments and JSJ Smart Homes were also able to offer smart cooling through Mitsubishi indoor air conditioning units which were integrated with Loxone. 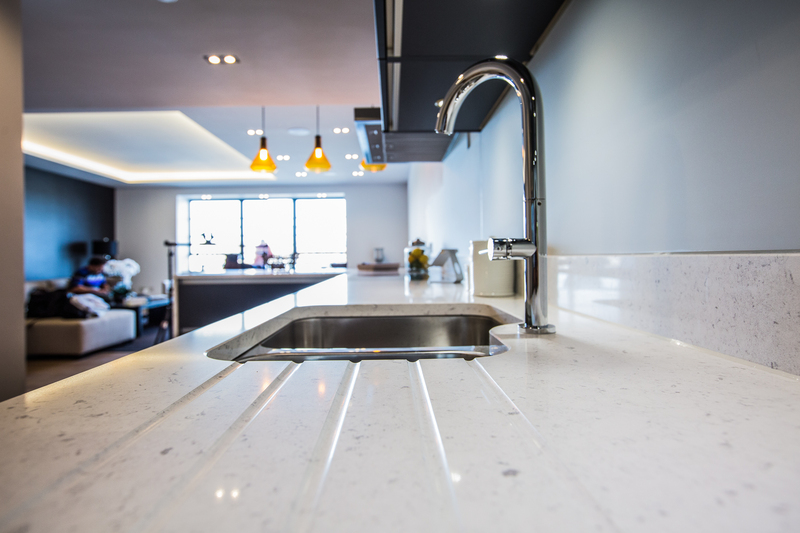 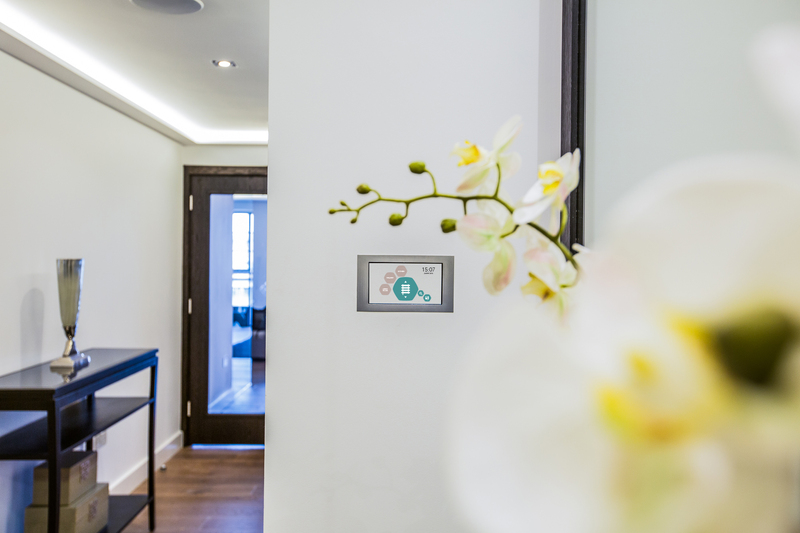 The apartments also feature a bespoke HomFi Touch panel developed in house by JSJ Smart Homes. 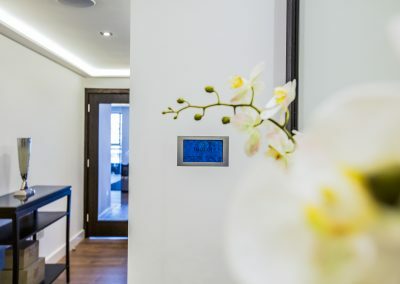 It offers native integration with all Loxone Functions, Sonos & Phillips Hue on a dedicated 5.5inch touchscreen that illuminates when the user approaches it. 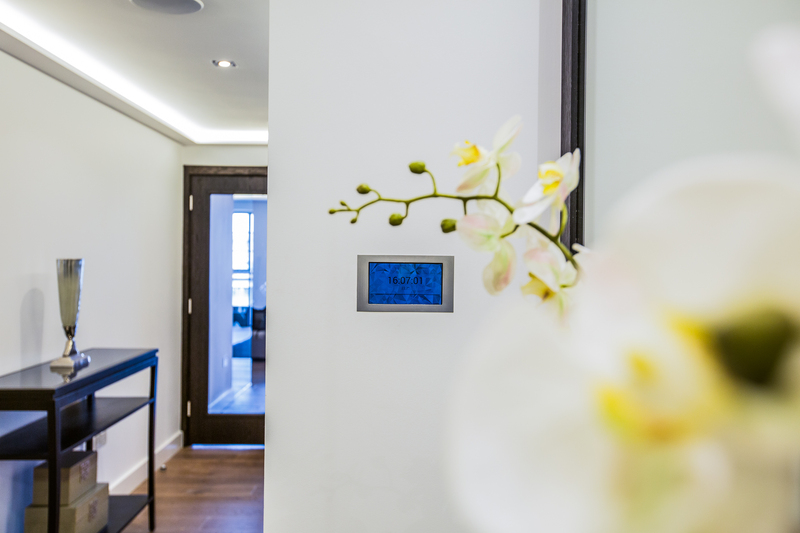 In addition, for this project JSJ Smart Homes enabled Airplay over Sonos and created a bespoke doorbell integration with Sonos. 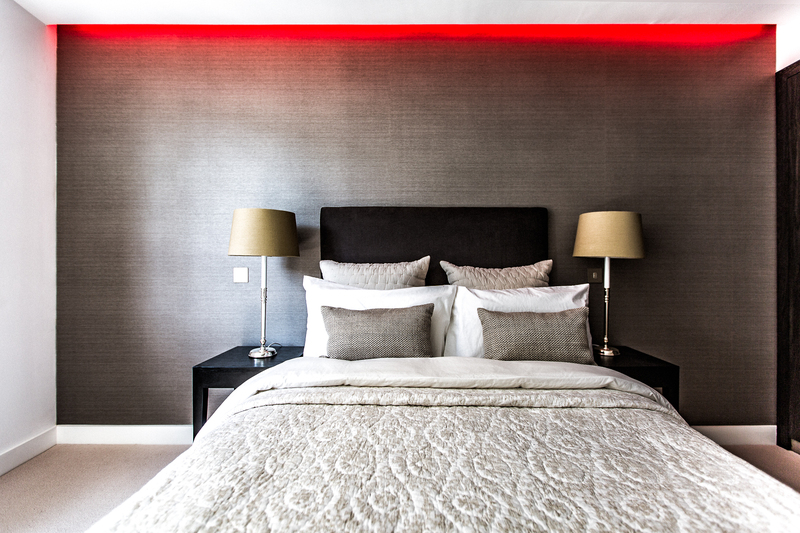 To find out more about HomFi, please visit the JSJ Smart Homes website. 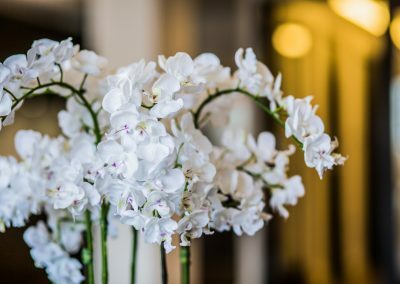 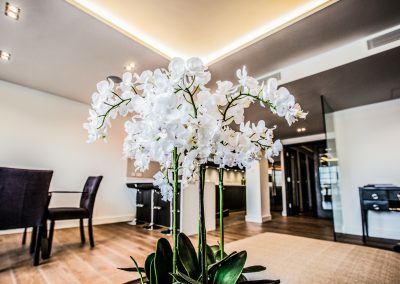 JSJ Smart Homes Ltd, based in London and the surrounding areas, have a reputation for exceptional attention to detail in their projects, a quality that has seen them complete projects as far flung as Oman. 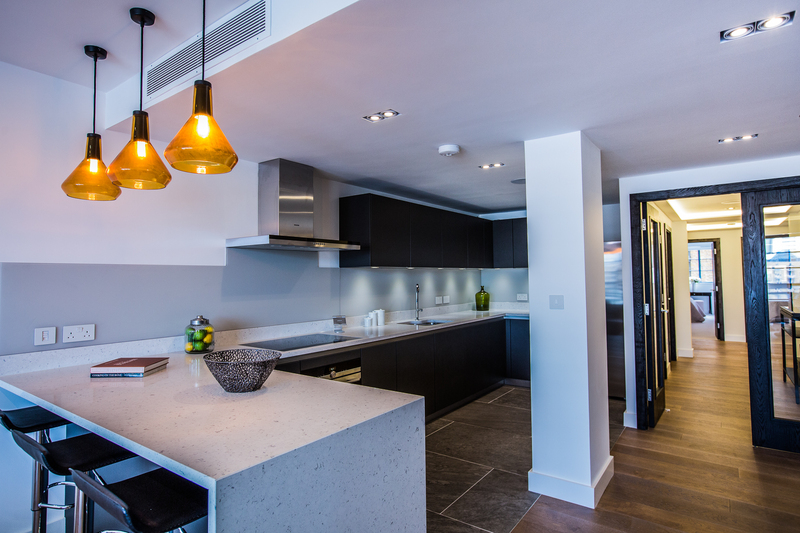 In 2016, JSJ Smart Homes were awarded Loxone Gold Partner status in recognition of their outstanding customer satisfaction and high-quality installations. “Being a Loxone Gold Partner and having a sole focus on creating Smart Homes has allowed us to expand our services to a whole range of new countries. 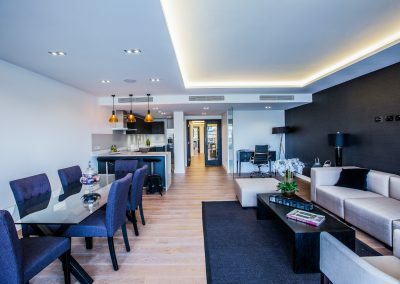 We have found leads coming in from diverse places such as Malta and Cyprus, clearly showing how Home Automation is not purely associated with high net worth economies and is simply becoming a ‘need’ as opposed to a ‘want’. 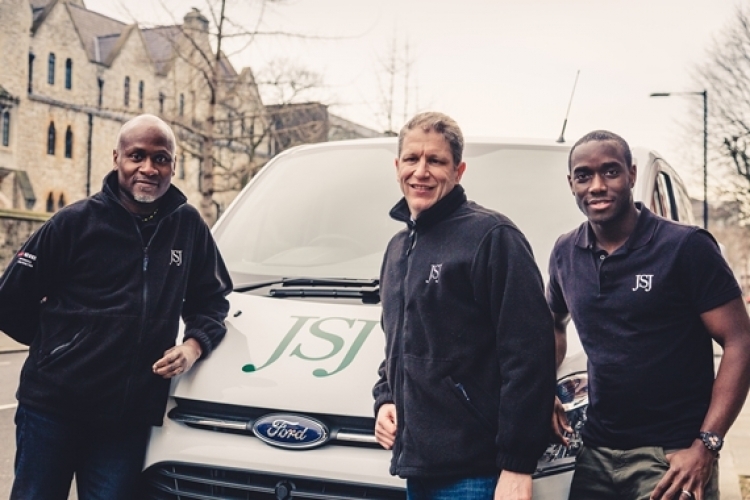 Here at JSJ, we have always said that we pride ourselves on bringing affordable Smart Homes to the UK and beyond; this statement is now becoming a reality. 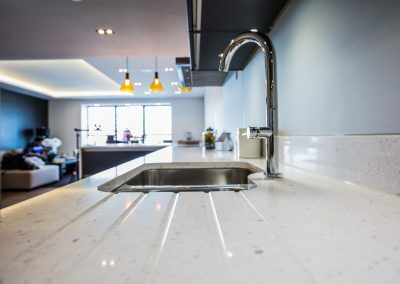 We make it our mission to ensure that we do not just sell products but solutions to everyday problems using available technology. 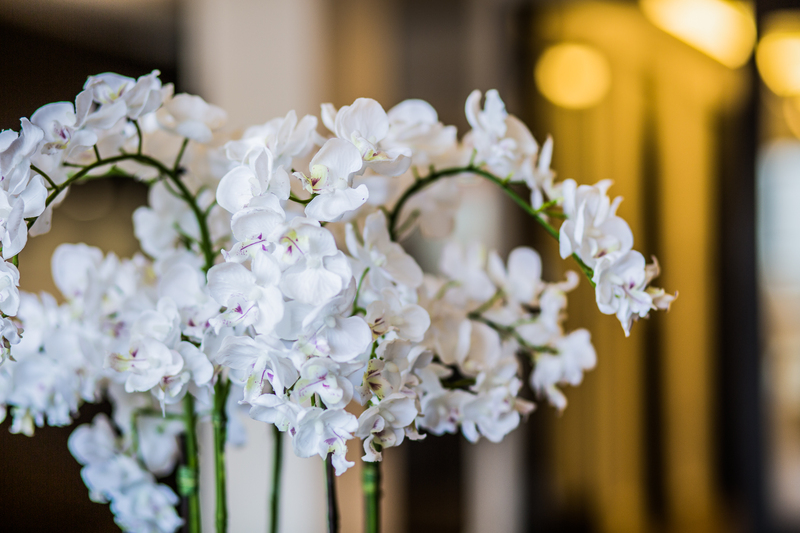 If there is a need that does not exist, we’ll simply create it. 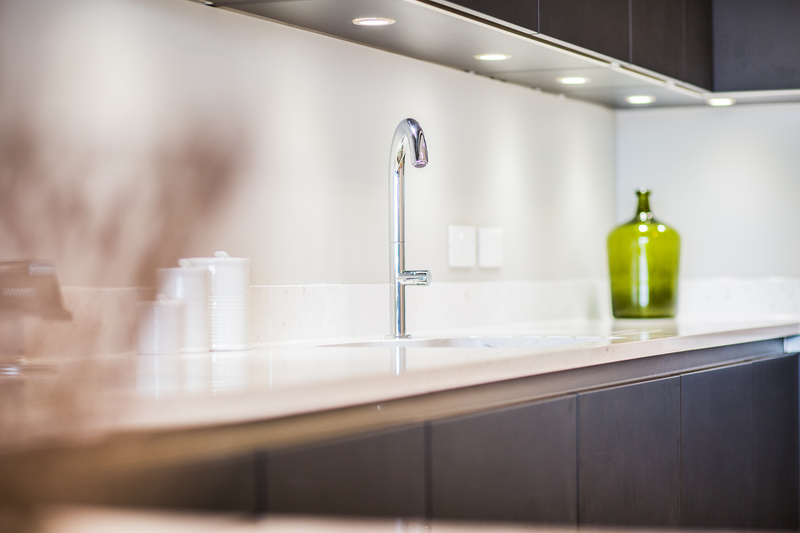 Browse through the gallery and find inspiration for your own Loxone Smart Home.